At D23 Expo 2015, The Walt Disney Company Chairman and CEO Bob Iger announced the Star Wars project to the delight of thousands of fans in attendance. The jaw- dropping new lands will open with two anchor attractions – one that gives guests the chance to pilot the Millennium Falcon on a customized secret mission, and one that puts guests right in the middle of a battle between the First Order and the Resistance. 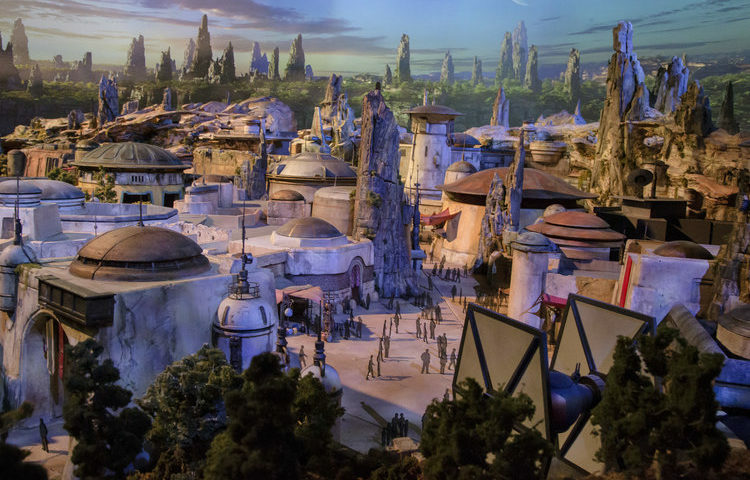 Representing the largest single-themed land expansion at 14 acres each, the Star Wars-themed lands will open in 2019. However, guests don’t need to wait until 2019 to be immersed in the Star Wars galaxy. From special character encounters to fan-favorite attractions like Star Tours – The Adventures Continue, and interactive entertainment like Jedi Training: Trials of the Temple, guests of all ages can experience Star Wars stories at Disney parks and resorts around the world. Learn more at http://bit.ly/2uj8WYV.